Apple’s iPhone has been overtaken as the best-selling smartphone among the top three wireless carriers in the US, according to analyst Anil Doradla from William Blair & Company. 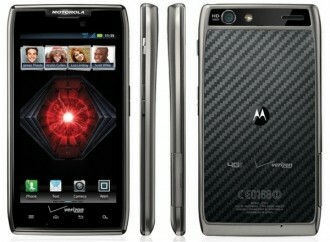 In a note to investors this week, Doradla says that the Droid Razr Maxx has become the most popular handset among Verizon customers. Doradla suspects the iPhone’s slip on Verizon isn’t related to customers holding out for the next generation model expected later this year but rather a heavy marketing campaign by the carrier to sell more 4G LTE devices like the Razr Maxx. CNET writer Eric Mack said Verizon’s push to get customers to buy LTE products lines up with his own personal experience as he was directed towards the 4G Razr and Galaxy Nexus after asking about the iPhone 4S when calling the carrier earlier this year. The customer service rep was reportedly quick to point out the iPhone’s lack of 4G LTE compatibility. Despite the slip on Verizon, the analyst isn’t concerned about Apple’s prospects for the future. The new iPhone is expected to ship with a 4G radio, leading Doradla to believe that it will be an important catalyst for Apple. Furthermore, he reiterates his Outperform rating on Apple shares. For what it’s worth, the iPhone is still the top selling smartphone at both AT&T and Sprint. On Verizon, the Galaxy Nexus ranked third in Doradla’s “checks.” It’s unclear exactly what methods he used to gather sales information for his investor report.